Freight transportation case studies: Service Freight Solutions. Service Freight has handled much of ‘Western Waffles’ outbound-to-U.S. freight program since 2003. 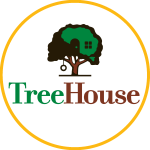 This long-term partnership continues today under the guidance of TreeHouse Foods, which now owns the brand. Product travels across the border and often thousands of miles to reach major retailers’ distribution centres within tight shipping windows. 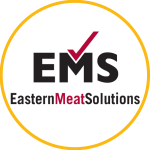 Service Freight does freight management for domestic, temperature-controlled shipments for this meat distribution company, which values time and proper documentation to make sure that shipments arrive to the customer on time. 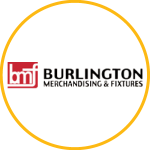 Burlington makes merchandising fixtures for retail stores. Service Freight ships the company’s products to installation crews who are bringing up new stores. Timely freight management and delivery is critical since work crews are on site depending on product delivery within tight time windows. Since 1997, Service Freight has helped Provincial Sign Systems do freight management for its outdoor signage in order to meet tight delivery deadlines for installations. There is rental equipment on sites, with various trades and skilled people ready to install large signs in one day. Needless to say, the cost of all this equipment and installers is expensive. Service Freight developed a special process to be able ensure deadlines are met and, if necessary, call off the installation crews and equipment in case of unforeseen circumstances. 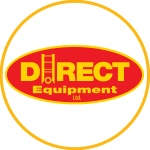 This maker of massive trench protection equipment uses 11 of its own flatbed trucks to service the Ontario market, but he counts on Service Freight to meet the company’s flatbed shipping requirements throughout the rest of Canada. Shipments can be challenging because product goes to construction projects where nothing yet exists and it isn’t always clear where the delivery should be dropped. In addition, crews costing up to $3,500 an hour are counting on the equipment to be there so they can start. When it’s not, there are huge financial consequences. 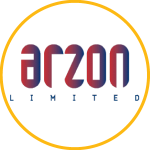 Arzon manufactures high frequency welded tubing that is used in heat transfer equipment such as automotive radiators and heating units, as well as heavy equipment and back-up power generators. Service Freight has done freight management for the company’s LTL and truckload shipments into the U.S. since 1998. Mauser makes containers, including steel drums, used during factory production in the petroleum, petro-chemical and pharmaceutical industries. Service Freight helps manage Mauser’s inbound supply chain, which involves pick up of LTL loads in the U.S. and coordination of time-sensitive deliveries to the Canadian plant. The task is complex since it involves careful planning, and some of the raw materials are classified as hazmat. 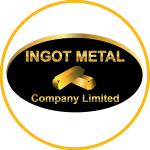 Ingot Metal Company has worked with Service Freight since 1995. 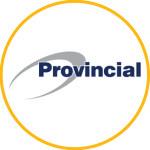 The relationship has thrived due to great service, proactive thinking, and a true partnership approach. “They always give me a straight-forward answer. If there’s something they can’t handle, they tell me. They never over-commit, so I know they’ll get my orders shipped on time.